Mardi Gras is a celebration steeped in tradition and culture, one of America's biggest parties of the year. One of the most popular customs of Mardi Gras is the throwing of colorful beads from parade floats to the crowd on onlookers below, a tradition with an interesting history. Mardi Gras originated with pagan Roman Carnival celebrations that took place in mid-February and celebrated the end of winter. 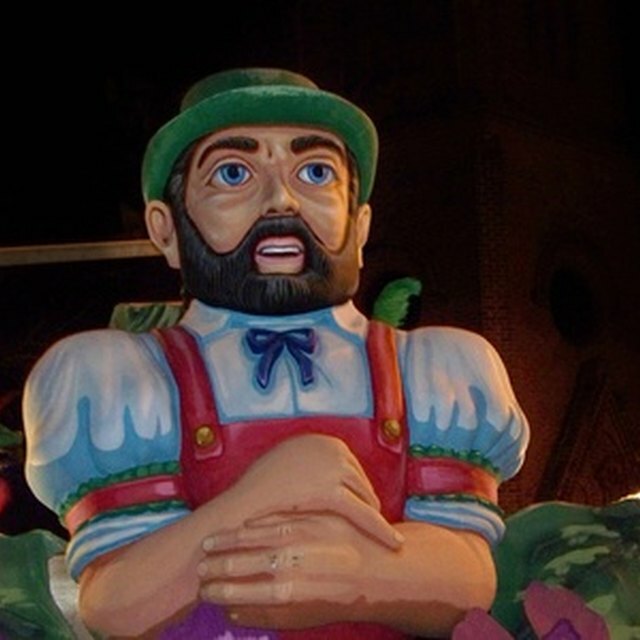 Christian leaders sought to incorporate and adapt existing pagan traditions with Christian beliefs, thinking it would be easier than trying to abolish them completely, so they continued the Carnival season. It was extended from the Twelfth Night after Christmas (January 6) to the day preceding Ash Wednesday, the beginning of Lent. During Lent, Christians participate in sacrifice, penance and fasting in imitation of Christ's last days as preparation for Easter, his resurrection. The day before Ash Wednesday, known as Fat Tuesday, is traditionally seen as a last day of revelry before Lent. Mardi Gras (which is French for Fat Tuesday) had been celebrated in Paris since the Middle Ages with parades and masked balls. The Mardi Gras tradition was exported to America in 1699, when French explorers settled at the mouth of the Mississippi River and established the city of New Orleans (and also Mobile, Ala., where Mardi Gras is also hugely popular). New Orleans was under French rule for most of the next century and still has a rich French culture today. Parades, balls and celebrations were organized by secret societies called krewes, which began in the 1700s. Some of the oldest New Orleans krewes are the Twelfth Night Revelers, Zulu, Comus and Rex. Rex started the tradition of the King of Carnival and established purple, green and gold as the official colors of Mardi Gras. According to the website mardigrasneworleans.com, Mardi Gras parades began in the 1830s with street processions of masked revelers on horseback or in carriages. Today, they are convoys of elaborate floats featuring costumed characters. The first recorded instances of paraders tossing trinkets, such as baubles and sugar-coated almonds, to the crowd of onlookers came in the 1840s, writes Brendan Koerner in his article, "Where Do Mardi Gras Beads Come From?" According to Koerner, the custom of pitching souvenirs, or "throws," to onlookers during parades might come from two sources. In Pagan rituals celebrating the end of winter, peasants threw milled grain into fields as an offering of gratitude to deities for helping them survive the cold season. Carnival festivals in Renaissance Europe involved throwing various objects. Since the 1870s, many objects have been tossed from floats, including the collectible aluminum doubloons, plastic cups, candy and Frisbees. But in the 1880s, Rex krewe began throwing inexpensive glass beads on strings to parade goers. Koerner writes that the first to toss beads was a man dressed as Santa Claus. The beads were an instant hit and were soon adopted by all krewes to throw in their parades. According to John Roach's article, "The Rich History of Mardi Gras's Cheap Trinkets," early glass beads were imported from Czechoslovakia or Japan. Today, beads are made of plastic or aluminum and mostly imported from China. The first beads were all purple, green, and gold, but today you can find them in all colors and featuring almost anything you can imagine: sports teams, food, flowers, rainbows, animals, smiley faces. Some beads even have flashing lights. Mardi Gras is a big business for New Orleans, and krewe members each spend $800 to $2,000 on throws every year. Today, beads are by far the most popular Mardi Gras parade throws. They're sold year round as a symbol of New Orleans' French Quarter, where Mardi Gras reaches its most raucous heights. In other parts of the city, parades are festive family events and balls are lavish and elegant, but on Bourbon Street (which isn't actually part of the parade route due to its narrowness), Mardi Gras is one big, drunken party. This is where the practice of bartering for beads started, with girls screaming, "Throw me something, mister!" while baring their breasts in exchange for beads. However, flashing is no more a Mardi Gras tradition than "people who get drunk and pass out on Bourbon street are following tradition," according to mardigrasneworleans.com, and baring your body is certainly not a requirement for attaining a souvenir. Flashing for beads started sometime in the 1970s when young people who flocked to New Orleans lost their inhibitions in the Carnival atmosphere, but native New Orleaneans are quick to point out that the true Mardi Gras takes place throughout the city and its suburbs, not on Bourbon Street. 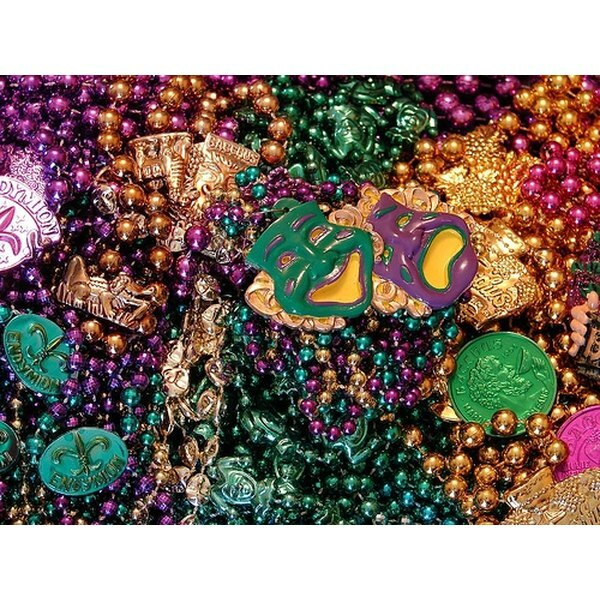 Where Do Mardi Gras Beads Come From? What Are the Most Popular Christmas French Foods?